Aircraft Maintenance Units (Floating) were the smaller ones -- the Aircraft Repair Units (Floating) were larger. The Aircraft Maintenance Units (Floating) were apparently constituted as Floating Repair Units. The abstract for the 5th AMU (Fltg) indicates it was redesignated the day it was activated, but the L&H statement for the 16th AMU (Fltg) indicates it was redesignated before activation. At any rate, all 35 of them were activated in June 1944 (most on 2 Jun 44, the rest on 10 Jun 44). The 1st-4th apparently at Brookley Fld, and the 7th-19th at Daniel Fld. The 20th-35th were activated 2 Jun 44 and disbanded on 21 Sep 44 (possibly the 19th, too). The 1st-18th were disbanded 8 Oct 48. The AMUs (Fltg) activated at Daniel Fld all moved to Brookley Fld in June or July 1944. All training was done in the Mobile, AL area, with maintenance training at Bates Fld and "sailor" training at Point Clear, AL. Most of the abstracts don't discuss this, but the L&H statement for the 16th AMU (Fltg) indicates these were unit moves in the Mobile area, not temporary duty. Summaries online indicate these units specialized in fighter repair, while the larger ARUs specialized in B-29s, but there are references in unit histories for AMUs (Fltg) to B-29 work. The fighter orientation is supported by the number that served at Iwo Jima, Ie Shima, and Okinawa. The Aircraft Repair Units(Floating) were activated a little earlier in 1944 as Floating Air Depots and also moved to Brookley Fld for training. They were aboard Liberty Ships that had civilian names, but were renamed for generals. (not alphabetical). There were only 6 of these and two served in the 20th AF area. The 1st Special Operations Helicopter Maintenance Squadron's mission is to perform all equipment maintenance in support of worldwide special operations missions in response to national command authority taskings for the MH-53J/M PAVE LOW III E/IV aircraft supporting the 20th Special Operations Squadron. The maintenance performed includes routine flight line tasks, aircraft servicing and inspections, to include phase inspections, troubleshooting, repair, modifications, and launch and recovery for all assigned aircraft. The 1st SOHMXS is the largest helicopter maintenance organization in the Air Force with the largest number of any single mission design series aircraft in the Air Force Special Operations Command. Lineage: Constituted as 16 Floating Repair Unit on 18 May 1944. 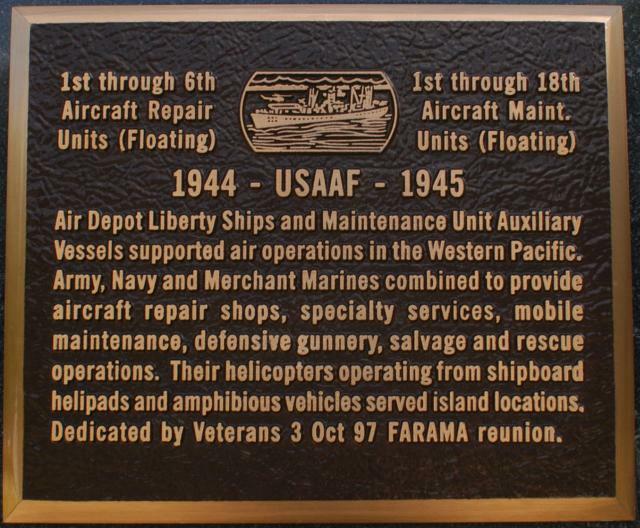 Redesignated as 16 Aircraft Maintenance Unit (Floating) on 29 May 1944. Activated on 2 Jun 1944. Inactivated on 18 Feb 1946. Disbanded on 8 Oct 1948. Reconstituted, and redesignated as 16 Helicopter Generation Squadron, on 23 Aug 1995. Activated on 1 Oct 1995. Redesignated as: 16 Helicopter Maintenance Squadron on 1 Oct 2002; 1 Special Operations Helicopter Maintenance Squadron on 16 Nov 2006; 801 Special Operations Aircraft Maintenance Squadron on 1 Jun 2009. Assignments: Warner Robins Air Service Command, 2 Jun 1944; Army Air Forces, Air Technical Service Command, 31 Aug 1944-12 Jan 1945; Pacific Ocean Area, c. Mar 1945; Guam Air Depot, 1 Apr 1945; United States Army Strategic Tactical Air Forces (later, Pacific Air Command, U. S. Army), 20 Sep-28 Dec 1945; Unkn, 2-18 Feb 1946. 16 Logistics (later, 16 Maintenance; 1 Special Operations Maintenance) Group, 1 Oct 1995-. Stations: Daniel Field, GA, 2 Jun 1944; Brookley Field, AL, 25 Jul 1944; Bates Field, AL, 7 Oct 1944; Point Clear, AL, 14 Oct 1944; Bates Field, AL, 6 Nov 1944; Brookley Field, AL, 23 Dec 1944; [From 11 Jan 1945-5 Feb 1946, unit stationed aboard the auxillary aircraft repair ship FS-215, renamed Colonel Donald R. Lyon on 9 Mar 1945] Los Angeles Port of Embarkation, CA, 31 Jan 1945; Santa Monica, CA, 1-19 Mar 1945; Honolulu Harbor, HI, 28 Mar 1945; Apra Harbor, Guam, 30 Apr 1945; Tanapag Harbor, Saipan, 13 May 1945; Tinian Harbor, Tinian, 7 Aug-28 Dec 1945; San Francisco Harbor, CA, 2 Feb 1946; Camp Stoneman, CA, 5-18 Feb 1946. Hurlburt Field, FL, 1 Oct 1995-. Decorations: Air Force Outstanding Unit Awards with Combat "V" Device: 1 Jun 1997-31 May 1999; 1 Jul 2003-30 Jun 2005; 1 Jul 2006-30 Jun 2007. Meritorious Unit Awards: 1 Jul 2007-30 Jun 2009; 1 Oct 2009-30 Sep 2011; 1 Oct 2011 � 30 Sep 2013; 1 Oct 2013 � 30 Sep 2015. Air Force Outstanding Unit Awards: [1 Oct] 1995-31 May 1997; 1 Jul 1999-30 Jun 2001; 1 Jul 2001-30 Jun 2003; 1 Jul 2004-1 Jun 2006. Emblem: Approved on 8 Aug 1996. Emblem Significance: Blue represents the sky, the primary theater of Air Force operations. Yellow signifies the sun and the excellence required of Air Force personnel. The globe indicates world-wide service and reflects the night and day maintenance. The eagle represents freedom. The wrench represents the maintenance mission of the squadron. The lightning bolt signifies the speed with which the mission is performed. Approved on 8 Aug 1996. Lineage, Assignments, Stations, and Honors through 14 Nov 2016. Activated 26 Nov 1942 per General Order #10 Air Base HQ Baer Field, Indiana dated 26 Nov 1942. Stations: Algiers, North Africa 22 Nov 1943 to 7 Jan 1944. India 7 Jan 1944 to 20 Mar 1944. China 20 Mar 1944 to 16 Feb 1946 (inactivated). Inactivated 16 Feb 1946 per AG Letter 382 OB-I-WDGCT-M Report #329 dated 21 Feb 1946. Reactivated 15 Jan 1947 at Luzon, Philippine Islands per G.O. #1 HQ 13th AF dated 7 Jan 1947. 8th ADS is shown in 1 Sep 1948 Army directory as to be inactivated and in Army Directory dated 1 Nov 1948 the 8th ADS is not listed. Lineage: 72 Airdrome Squadron (constituted on 25 Jan 1943; activated on 1 Feb 1943; redesignated as: 72 Airdrome Squadron [Special] on 16 Apr 1943; 72 Airdrome Squadron on 5 Oct 1943; inactivated on 23 Sep 1945; disbanded on 8 Oct 1948; reconstituted on 16 Sep 1994) and the 72 Operations Squadron (constituted on 4 Jun 1952; activated on 16 Jun 1952; discontinued, and inactivated, on 1 Jan 1962) consolidated (16 Sep 1994) with the 654 Operations Support Squadron (constituted on 1 Aug 1993; activated on 1 Oct 1993). Redesignated as 72 Operations Support Squadron on 1 Oct 1994. Assignments: Second Air Force, 1 Feb 1943-22 Oct 1944; 1 Air Commando Group, 23 Nov 1944-23 Sep 1945. 72 Air Base (later, 72 Combat Support) Group, 16 Jun 1952-1 Jun 1962. 654 Air Base Group, 1 Oct 1993; 72 Air Base Wing, 1 Oct 1994-. Stations: Salt Lake City, UT, 1 Feb 1943; Walla Walla AAB, WA, 3 Mar 1943; Rapid City AAB, SD, 8 Dec 1943; McCook AAFld, NE, 25 Jan 1944; Casper AAFld, WY, 14 Jul-4 Oct 1944; Asansol, India, 26 Nov 1944; Warazup, Burma, 20 Jul 1945; Loping, China, 31 Aug-23 Sep 1945. Ramey AFB, Puerto Rico, 16 Jun 1952-1 Jan 1962. Tinker AFB, OK, 1 Oct 1993-. Campaign Streamers: World War II: China Offensive. Decorations: Air Force Outstanding Unit Awards: 1 Oct 1957-1 Jun 1958; 1 Jan 1995-31 Dec 1996; 1 Jan 1997-31 Dec 1998; 1 Jan 2005-31 Dec 2006. Emblem: Approved on 19 Aug 1998. Lineage, Assignments, Stations, and Honors through Jun 2010. Lineage: Activated 1 Mar 43 at Hunter Field, GA. Arrived North Africa 11 Jan 44; Moved to India 3 MAR 44; Moved to Burma 28 Sep 44. Disbanded 8 Oct 48, reconstituted 1991 as 86th Operations Support Sq, activated 1 May 91 at Ramstein AB, assigned to 86th Operations Gp, inactivated 15 Jan 04, reactivated 5 Feb 05. Serviced the 492nd Bomb Sq / 7th Bomb Gp. Lineage: Active at Hunter Fld GA 1 Mar 43, at Kahuku AAF 23 Oct 43-1944, redesignated 87th Airdrome Sq (Reinforced) 15 Dec 43, subsequently stationed in the Marshall Islands and Guam, disbanded 8 Oct 48. 1 Apr 43: The 89th Airdrome Sq. was activated at Hunter Field, Savannah, GA. Maneuvers and duty at Lebanon, TN Airport with Tennessee Air Support Command from Aug-Oct 43. 6 Dec 43: Unit began travel to overseas duty; departed from Camp Patrick Henry, Newport, VA, on 13 Dec 43 by liberty ship SS William H. Mulholland. Arrived and debarked at Oran, Algeria c. 1 Jan 44 and moved on to Algiers before boarding a ship for transport to a permanent assignment at an Indian location. 3 Jan 44: 89th Airdrome Sq broken up and personnel placed under administrative control of the China-Burma-India Chinese American Operational Training Unit (CAOTU). 25 Jul 45: Per General Order 166, Headquarters Army Air Forces, India Burma Theater, the 89th Airdrome Squadron was relieved from assignment to Army Air Forces, India Burma Theater Training Center, assigned to India Burma Air Service Command and further assigned to Central India Air Depot. 28 Jul 45: 89th Airdrome Squadron departed for Agra aboard a Special Train. Lineage: Activated 1 Apr 43 at Hunter Fld, GA to Oran, Algeria Jan 44, Algiers. Algeria Jan 44, Bombay, India Feb 44, Camp Malir to 1 May 45, Agra, India 28 July 45- ; disbanded 8 Oct 48, reconstituted 1991 as 89th Operations Support Sq, activated 12 Jul 91, assigned to 89th Operations Gp at Andrews AFB. The unit was known as Cantrel�s Kittens, after the unit commander. The patch was unofficial and was made in mid-to-late 1945 as a momento for the unit members. The 89th Operations Support Squadron provides vital mission support including intelligence, weather, airfield operations, mission operations, current operations, operational training and flight management. Airfield operations manages the nation's executive airfield which includes two major runways, and coordinates operations with nine partner flying units from all the military services, including active, guard and reserve; and the Department of Energy, Maryland State Police and Civil Air Patrol. The flight management section is the largest in the Air Force. The unique mission operations section conducts mission planning, coordinates en route support and gains diplomatic clearances for hundreds of missions each year. The current operations flight provides operational scheduling and command and control of all SAM aircraft in harmonization with Andrews Command Post and the Assistant Vice Chief of Staff of the Air Force Special Missions Office. The 89th Operations Support Squadron provides Special Air Mission operational support for Headquarters United States Air Force-directed missions transporting the president, vice president, senior government officials and other dignitaries. It provides aviation and airfield management, mission planning and execution, intelligence and weather support, air traffic control liaison, and aircrew training. The 89 OSS operates school houses for US Air Force C-20/C-37 pilots, flight engineers and apprentice flight attendants. The weather flight briefs aircrews daily on meteorological events that may impact their mission. The Intelligence flight briefs aircrews daily on worldwide security issues that may impact their mission. If the security issues are severe, the intel flight can recommend to the wing commander that aircrew and aircraft should not land at a particular airport or country. The mission operations flight performs mission-planning duties for aircrew members so they can prepare for their global mission carrying the nation's leaders. The base operations flight files flight plans for aircrews and manages the airfield so the president and other distinguished visitors can take off and land without incident. The squadron has three training flights: Group Training, Flight Attendant Culinary and Egress Training School and Executive Aircraft Training Center. The Training Flight monitors and tracks the training that occurs within the 89th Operations Group's three flying squadrons: 1st Airlift Squadron, 99th Airlift Squadron and the 1st Helicopter Squadron. FACETS is the "school house" for Air Force flight attendants. Recently, the school starting training members from our sister services. EATC is the "school house" for all Gulfstream aircraft, radio operators and flight engineers. Soon, both EATC and FACETS will be working together under one roof in a $1.5 million facility in the summer of 2005. Flight records manages over 2,400 records, the largest amount of any shop of its kind in the Air Force. This busy flight tracks aviators' flying hours, gates and currency requirements. Finally, the Communication Security Flight oversees aircrews' classified communications equipment required on most distinguished visitor flights. They also track the many phone calls made aboard the 89th aircraft fleet. Lineage: Activated 1 Apr 43 at Hunter Fld, GA; MacDill Fld, FL 12 Oct 43; Calcutta, India unknown; Kunming, China, assigned to China Air Service Command -Nov 1945; disbanded 8 Oct 48. Lineage: Activated 5 Apr 43 at Rapid City AAF. Moved to Camp Anza, CA around 10 Nov 1943. Arrived India 26 Dec 1943. Later stationed at Sylhet, India and Dinjan Adme, India until 1 May 45. Moved to Chanyi, China in July 1945. Disbanded 8 Oct 48, reconstituted 1 Aug 92 and consolidated with 98th Operations Sq as 98th Operations Support Sq at Barksdale AFB, LA; Nellis AFB, NV 5 Nov 2001. The 98th Range Wing (RANW) operates, maintains, and develops the Nevada Test and Training Range comprising of 2.9 million acres and 12,000 square miles of airspace. The Wing operates two airfields at Creech AFB and the Tonopah Test Range, the instrumentation for Air Warrior at the National Training Center (NTC) and Leach Lake Range. The Wing also supports the Department of Defense (DOD) advance composite force training, tactics development, and electronic combat testing as well as DOD and Department of Energy (DOE) testing requirements and research and development. The Wing hosts numerous Red Flag, and U.S. Air Force Weapons School exercises each year, as well as various test and tactics development missions. The Wing coordinates operational and support matters with major commands, other services, DOE and Department of Interior, as well as other federal, state, and local government agencies. The 98th Range Wing acts as the single point of contact for range customers. Activated 5 Apr 43 at Walla Walla, WA. Serviced 1st Air Commando Gp, 4th Combat Cargo Group, 89th Fighter Squadron. Disbanded 8 Oct 48. Lineage: Activated 5 Apr 43 at Alamogordo Bombing Range, NM; moved to Gulfport AAF, MS (probably before 13 May 43 when another 310th Airdrome Sq (Spl) was activated -- that squadron was redesignated 43d Airdrome Sq), later to Karachi, India (Landhi Airfield); active through 1 May 45; disbanded 8 Oct 48. Reconstituted 1 Feb 08 and redesignated the 310th Operations Support Flight. Activated 7 Mar 08 at Schreiver AFB, CO and assigned to the 310th Operations Group of the 310th Space Wing per DAF/A1M 913s, 1 Feb 2008; SO #GB-0013, Hq AFRC, 5 Feb 2008; AFOSCR-AFRC, 31 Mar 2008. C. March 1944: The 310 Airdrome Squadron, assigned to China-Burma-India Air Forces Training Command, was placed under the administrative control of the China-Burma-India Fighter Operational Training Unit. The 89 Airdrome Squadron was placed under the administrative control of the China-Burma-India Chinese American Operational Training Unit. On 17 Apr 44, the Fighter Replacement Training Unit and the 310 Airdrome Squadron moved to North Malir, India, and their activities were combined with those of the Flexible Gunnery Training Unit and Headquarters Army Air Forces, India-Burma Theater Training Command. Effective 31 Aug 45, all officers and enlisted personnel of the Army Air Forces, India-Burma Theater Training Center were assigned to the 310 Airdrome Squadron. Serviced 1st Air Commando Group. Disbanded 8 Oct 48. Serviced 2nd Air Commando Group. Disbanded 8 Oct 48. Serviced 3d Combat Cargo Group. Disbanded 8 Oct 48. Squadron activated 1 Jun 44 at Richmond Army Air Base, Richmond, VA. Inactivated 29 Dec 45. Disbanded 8 Oct 48. Serviced 1st Combat Cargo Group. Disbanded 8 Oct 48. Serviced 4th Combat Cargo Group. Disbanded 8 Oct 48. Almost 50 American Forces Radio Service stations are known to have been on the air from 'The Forgotten Theater' of WWII operations ranging from China to India. Assigned to 21 Bomber Command, Saipan, Mariana Islands. Band assigned to Guam 12 Nov 45 and Okinawa on 27 Nov 45. Unit awarded battle honors for participation in Western Pacific campaign, per GO 66, 30 Jun 45, HQ U.S. Army Forces, Pacific Ocean Areas. Band transferred to U.S. Army Strategic Air Forces from previous command of U.S. Army Forces, Middle Pacific. Geiger Field, Washington by Jul 1950. The 560th AAF Band has credit for service in the CBI Theater. It was activated as the 60th AAF Band 11 Jul 42 at Birmingham AAF, moved to Greenville AAB in Aug 42 (assigned to 3 AF), redesignated 560th Army Band 27 Dec 43, 560th AAF Band Mar 44, reassigned to 1 AF May 45, moved to Los Angeles CA 4 Apr 45 and to the CBI Theater later that month, inactivated 15 Mar 46. Alloted to the National Guard 24 May 46. Redesignated 560th USAF Band c. 26 Sep 47 and activated 18 Apr 48 at Ft Wright, assigned to the Washington ANG, moved to Geiger Fld in 1948, activated in Mar 51 and assigned to Western Air Def Force, moved to Larson AFB 2 Apr 51 and McChord AFB that October, inactivated 31 Dec 52. Reactivated in the Washington ANG 1 Jan 53 at Geiger Fld, redesignated 560th AF Band 1 Jul 55, moved to Fairchild AFB Jul 76, assigned to the 141st Air Refueling Wg and redesignated ANG Band of the Northwest c. 8 Jun 00. Unofficial Nickname from about 1976-2000 "Band of the Evergreen state." Stationed at Birmingham AAF, AL 1942-Aug 42, Greenville AAB, SC -4 Apr 45, Los Angeles CA POE 8 Apr 45-16 Apr 45, India -1946. Ft George Wright, WA 1948-1948, Geiger Fld, WA -2 Apr 51, Larson AFB, WA -Oct 51, McChord AFB, WA -1952. Geiger Fld, WA 1953-30 Jun 76(?) Fairchild AFB WA. Assigned to 3 AF -Feb 45, 1 AF -May 45, Hq, CBI Theater -1946. Washington ANG 1948-Mar 51, Western Air Defense Force -1952. Washington ANG(?) -unknown 141 Air Refueling Wing. Constituted 1 Oct 41 as Air Forces Band, Jackson, activated 1 May 42 at Jackson AAB, MS, redesignated 74th AAF Band 19 Aug 42 and later the 574th Army Band c. Dec 43. It was at Jackson AAB at least through March 44. The 574th AAF Band was at the Bengal Air Depot, Malir, and at Titagarh in early 1946. It was active again at Parks AFB as the 574th AF Band from 9 Jan 52-8 Aug 55 and was disbanded 26 Sep 84. Air Force Band, MacDill Field, FL activated 1 Oct 41. Redesignated 76 Army Air Forces Band, 10 Aug 42; redesignated 576 Army Band, 30 Dec 43; redesignated 576 Army Air Forces Band 7 Mar 44. Received overseas warning orders 19 Feb 45, readiness date 1 Apr 45. Reassigned to India-Burma Theater 21 May 45, quartered at Bengal Air Depot. 60 day assignemnt at Tezgaon Air Base, near Dacca on border of India and Burma) Jul-Aug 45. Return to United States on the USS Gen. H. L. Scott; inactivated 6 Jun 46. Departed Davis Monthan Field, Tucson, AZ c. 5 Feb 45, arriving c. 14 Mar 45 at Tinian, Marianas Islands; assigned to 313 Bomb Wing, 21 Bomber Command, 20 Air Force. Inactivated 11 Apr 46 by Section XI of General Order 38, HQ 20 Air Force, APO 354, dated 12 Mar 46. Constituted as the AAF Band, (Camp Luna or Las Vegas); redesignated before activation on 18 Aug 1942 at Camp Luna (Las Vegas, NM) as the 95 AAF Band; redesignated 595 Army Band 27 Dec 1943; redesignated 595 AAF Band c. March 1944. Departed Camp Luna, NM 7 Feb 45; arrived at Guam (North Field), 18 Mar 45. Assigned to 314 Bombardment Wing, XXI Bomber Command, 20 AF. Assigned to 19 Bomb Wing, 18 Jun 49. It remained at North Fld/ Andersen AFB unitl at least 1963 as the 595 AF Band. Activated at Turner Field, Albany, GA, 1 Oct 41, as a drum and bugle corps attached to the "Air Force Band"; redesignated 97 Army Air Forces Band (HQ SEAAFTC, GO-93, dtd 15 Aug 42); redesignated 597 Army Band (HQ AAFEFTC, Maxwell Field, AL, GO-3, dtd 25 Jan 44, effective 27 Dec 43. 597 Army Band redesignated 597 Army Air Forces Band (GO-16, HQ AAFEFTC, Maxwell Field, AL, dtd 24 Mar 44). Inactivated 17 Oct 45 (HQ AAFEFTC, Maxwell Field, AL, GO-65, Section II, dtd 22 Oct 45). 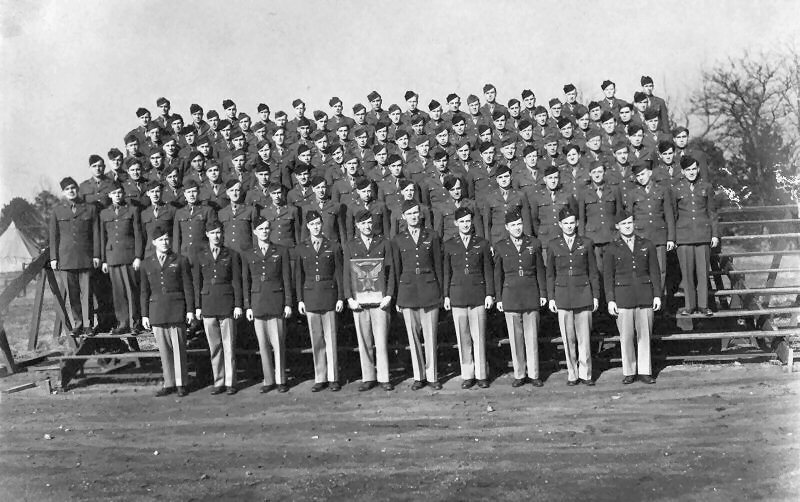 344th AAF Band located Bainbridge Army Air Field, Bainbridge, GA early 1944. Dates of redesignations unknown. Relocated Gunter Field, AL in fall 44. Band received warning notice for overseas service. On 1 Jan 45 departs for Eastern Flying Training Center, Gunter Field, Montgomery, AL. Under movement orders for overseas, traveled to Camp Anza, CA. Further travels aboard USS R. E. Callan to Calcutta, India, and Dum-Dum Air Base. Further moves to Guam Island, Marianas group. Inactivation on 8 Jun 46. The 671st AAF Band moved from Congaree AAF in 1944 and was located at Karachi and Calcutta (dates unknown) and was inactivated 25 Feb 46. This band started life as the 371st AAF Band and was redesignated the 671st Army Band on 27 Dec 43 and the 671st AAF Band about March 1944. It was redesignated 671st AF Band on 26 Sep 47, was not active and was disbanded 26 Sep 84. Bhamo (attached to North Burma Air Task Force by 1 Aug 45); Located Shanghai, China. Perrin AFB, Texas 1951. 441 Army Air Forces Band activated c. 15 Apr 43 at Randolph Field, TX; redesignated as 741 Army Band and 741 Army Air Forces Band; active between Mar 45 and 15 Feb 46 at Tezgaon Apt, Jorhat, Chabua, and Barrackpore Apt; redesignated 741st AF Band on 26 Sep 47, was not active and was disbanded 26 Sep 84. Organized as the 465th AAF Band at Drew Fld on 10 May 43 and activated 3 Jun 43. Apparently remained at Drew Fld at least through the spring of 1944; redesignated 765th Army Band 28 Dec 43, 765th AAF Band 3 Mar 44; redesignated 765th AF Band on 26 Sep 47, was not active and was disbanded 26 Sep 84. Active in India between Mar 45 and 15 Feb 46, moving to Jorhat around March and later to Tezgaon and Barrackpore Apt. Photos courtesy of Mr. David Truncer, son of PFC Harry Truncer, 95th Chemical Service Co. Activated at Agra 25 Jun 42 (redesignated from 2nd Chemical Company Sevices (Aviation) Decontamination Detachment). Attached to 3d Air Depot Group, Agra. Activated c. 15 May 42 at Orlando, FL. Location Barksdale Field, LA mid-1944. Location Guam c. Jan 45. Meritorious Unit Commendation: 21 Jan-2 Sep 45, GO 113, Hq 12th AF, dtd 26 Nov 45. Activated c. 27 Dec 43 as 829 Chemical Co. (Aviation); Unit mission: operation of Ondal Advanced Chemical Park, India-Burma Theatre of Operations (attached to 305 ASG as of 31 Mar 45); Unit deactivated c. 10 Jan 46. Meritorious Unit Commendation: 6 Jun 44-1 Mar 45, GO 33, Hq I-B Air Svc Cmd, dtd 11 Apr 45. Activated 29 Apr 42 as 802 Chemical Company (Air Bombardment) at Will Rogers Fld, OK per AG 320.2 letter dated April 5, 1942. Redesignated 802 Chemical Company, Air Operations 16 July 42; unit located Blythe Army Air Base, CA and Chemical Warfare Center (Aviation), Camp Merced, CA c. Sep 42; redesignated 802 Chemical Company, Air Operations (Light) on 5 Sep 42. Unit located Reno Army Air Base, NV; Desert Training Center, Rice, CA c. Jan 43; unit located Barksdale Field, LA, AAF Chemical Training Center No. 1, May 44; unit located Dugway Proving Ground, Tooele, UT c. Jun 44; describes methods of handling chemical warfare gases using aircraft spray techniques. Unit redesignated 802 Chemical Co, Air Operations, 30 Jun 45. Unit duty station March Field, Riverside, CA to prepare for overseas movement c. Dec 44; move to North Field, Guam, 21 Jan 45; redesignated 802 Chemical Co, Air Operations (Medium and Heavy), 30 Jan 45. Unit returned from overseas 1 Dec 45 and deactivated. Meritorious Unit Commendation: 21 Jan-12 Oct 45, GO 113, Hq 12th AF, dtd 26 Nov 45. USAF History Index shows 2 activation dates. It was common in WW II for units to be formed and draw a cadre at one base, then move in a few days (sometimes, even the day of activation) to another base where its full personnel was assigned. Meritorious Unit Commendation: 1 Jul-31 Dec 44, GO 90, Hq Army AF Svc Cmd, dtd 5 Jun 45. Located at Camp Sibert, AL by 1 Jul 43. Active by Jul 42. Location Telergma, Algeria. Activated c. 13 Jun 42 Wheeler Field, TH. At Kahuku AAB, TH -29 Jul 43. Location Suva, Fiji. Location Saipan, Marianas Islands early 1945. Located Guam early 1946. Meritorious Unit Commendation: 16 Feb-2 Sep 45, GO 83, Hq 20th AF, dtd 4 Oct 45. Activated 1 Jun 42 Fort Richardson, AK. Location Elmendorf Field, AJ Jul 44. Location Barksdale Field, LA Oct 44. Campaign credit for Aleutian Islands. Location Guam by Apr 45. Meritorious Unit Commendation: 23 May-2 Sep 45, GO 113, Hq 20th AF, dtd 26 Nov 45. Active by Jul 42 at DeRidder AAB, LA. Location Tinian, Marianas Islands by Feb 45. Unit was formed in January of 1943 at Camp McCain, Mississippi. Nearest town was Grenada, and located about halfway between Memphis and Jackson, MS. The camp was about 35 square miles in size with many black tarpaper clad buildings and barracks. Barracks were heated with coal burning stoves. Cadre was mainly made up of non-coms from Camp Shelby and trainees were mostly from Philadelphia and Pennsylvania coal mining country. We received basic training as combat MPs. July 1943, the unit was sent by train to Arlington reception Center at Riverside, CA and on July 27th. Boarded the Hermitage, a converted Italian liner. With 5-6000 troops aboard we sailed unescorted to Pearl Harbor, then unescorted to Wellington, N.Z. zig-zagging all the way as a precaution against submarine attack. From Wellington we went to Perth, Australia and then to Bombay, India, escorted by two Dutch corvettes. We were 33 days at sea. 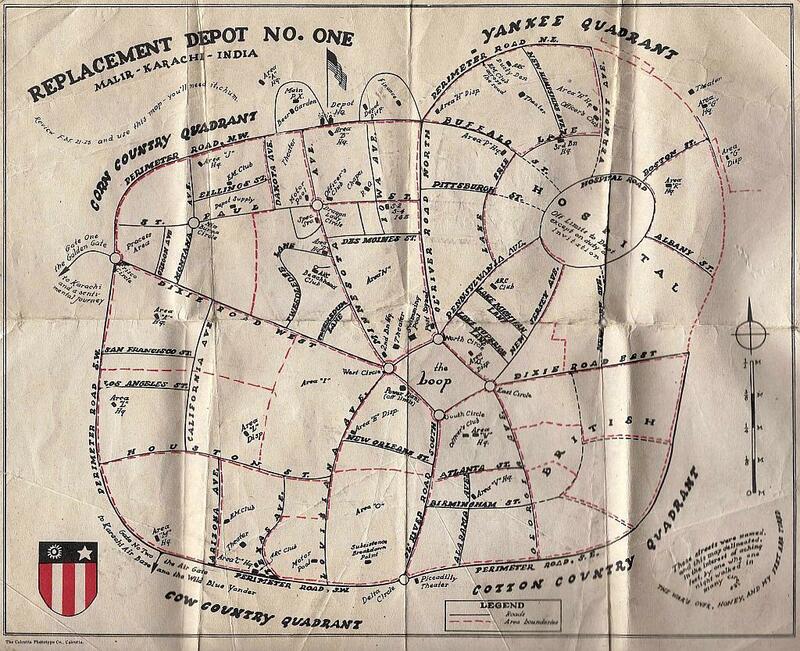 Disembarked in Bombay, were shipped by train to a British camp called Deolali for two week stay. Then by train north to a river I assume to be what is now known as the Narmada and put aboard a large paddlewheel steamboat for a long ride. Then by train again to Ledo, Assam, India. October of 1943 found us living in tents and clearing ground for bashas to be built by native contractors. In late December, 1944, the 624th moved to Myitkyina, Burma and set up camp. Unit performed traffic control on the road and patrolled villages in surrounding areas. August, 1945 heard about the atomic bombing. Late November, 1945, the 624th disbanded in increments and sent by train to Karachi for ship ride home. The unit was activated at Camp McCain, Mississippi, in January 1943. After four months of intensive training, these drafted strangers became friends and a very unique military team. In June 1943, the Battalion traveled by train to Camp Anza, CA, for more training and preparation for an overseas tour of duty. In early July, with destination unknown, they boarded the USS Hermitage, a converted Italian liner and sailed from Long Beach, CA. After brief stops in New Zealand, Melbourne, and Fremantle, Australia, they docked in Bombay, India, in late August 1943. The 502nd Combat M.P. Bn was the only Combat Battalion of Military Police in the China-Burma-India Theater of War during WW II. They were under the command of General "Vinegar" Joe Stilwell from 1943 to 1946. After traveling for several days by rail and riverboat, the unit arrived in Ledo, Assam, India. They were divided into smaller units, Ledo was the beginning of the Ledo Road, which many foreign governments said, "could never be built." At that time, it was only a trail through the dense Burmese Jungles and the treacherous Himalayan Mountains. The famous Ledo Road, joined the Burma Road in Central Burma and became the only land route from India to China. The primary mission of the 502nd Combat M.P. Battalion was to establish, operate and maintain traffic check points at various locations over the entire Ledo Road. This task was honorably and successfully completed. It played an important role in driving the Japanese from Burma and the overall victory in the CBI. At the end of the war, the 502nd Combat Battalion of Military Police returned to the Ledo Assam area. There it was deactivated and reorganized into smaller service police companies. They returned home in 1946. "The greatest reward we could have received is the cherished, everlasting friendships we have enjoyed for so many years," said Temple. "Each year we still get together, renew those friendships, and talk over old times. Each year it has been a very happy and successful reunion, and each one seems to get better," he commented. "We think the 502nd Combat MP Bn is still a Unique Unit....."
Description: A gold color metal and enamel device 1 1/4 inches (3.18 cm) in height overall consisting of four gold scales in cross on a green chamfered square, all above a gold scroll bearing the inscription "HONOR PRO MILITIBUS" in green letters. Symbolism: Green and yellow are the colors traditionally associated with Military Police. The scales represent justice and equality, basic attributes of the organization. The four joined scales further symbolize stability and equilibrium, alluding to the administrative relationship of the various individual teams representing different functions. The pedestals of the scales form a star suggestive of planning and guidance. The motto translates to "Honor For Soldiers." Background: The distinctive unit insignia was approved on 24 October 1967. It was amended to update the description and symbolism effective 16 March 2012. Shield: Or a chamfered square Vert, voided by four scales in cross. Motto: HONOR PRO MILITIBUS (Honor For Soldiers). Shield: Green and yellow are the colors traditionally associated with Military Police. The scales represent justice and equality, basic attributes of the organization. The four joined scales further symbolize stability and equilibrium, alluding to the administrative relationship of the various individual teams representing different functions. The pedestals of the scales form a star suggestive of planning and guidance. Background: The coat of arms was approved effective 16 March 2012. Lineage: Constituted 12 November 1942 in the Army of the United States as the 782nd Military Police Battalion (Zone of the Interior). Activated 28 November 1942 at Fort Custer, Michigan. Disbanded 5 September 1944 at Chabua, India. Shield: Vert, on a pyramid Or masoned of the field an eye Proper. Symbolism: The yellow and green are the colors of the Military Police. The pyramid denotes strength and the eye in the center represents alertness at all times. The motto is expressive of the characteristics of the personnel. Authorization: The coat of arms was approved 2 February 1943 and rescinded 4 March 1976. Authorization: An insignia consisting of the shield and motto of the coat of arms was approved 2 February 1943, but never made. The insignia was rescinded 4 March 1976. Distinctive Unit Insignia Description: A gold color metal and enamel device 1 3/16 inches (3.02 cm) in width overall consisting of two gray Indian elephants standing back to back on a light green mound in front of a red chevron with a gold "Wheel of Law" on a blue background surmounting the lower portion of a continuous green scroll, arched at the top and divided in three folds inscribed "BASTION OF LIBERTY" in gold letters. Symbolism: Green and gold (yellow) are the colors traditionally used for Military Police units. The elephants allude to India, and are a reference to service on the India-Burma border during World War II. The chevron represents support, and together with the ancient Indian "Wheel of Law" refers to "law enforcement," the basic mission of the organization. Background: The distinctive unit insignia was approved on 18 February 1977. It was amended effective 16 September 2011, to update the description. Shield: Azure a pale Or surmounted of another Vert two elephants in flanche Silver Gray, fimbriated and detailed Sable, tusk Argent, heads over a chevron Gules fimbriated and charged with a Wheel of Law of the second. Green and gold (yellow) are the colors traditionally used for Military Police units. The elephants allude to India, and are a reference to service on the India-Burma border during World War II. The chevron represents support, and together with the ancient Indian "Wheel of Law" refers to "law enforcement," the basic mission of the organization. Crest: The crest is for the regiments and separate battalions of the Army Reserve: From a wreath Or and Azure, the Lexington Minute Man Proper. The statue of the Minute Man, Captain John Parker (H.H. Kitson, sculptor), stands on the common in Lexington, Massachusetts. Background: The coat of arms was originally approved for the 124th Cavalry Regiment on 15 April 1935. It was redesignated for the 124th Mechanized Cavalry Reconnaissance Squadron on 29 August 1949. The insignia was redesignated for the 124th Cavalry Regiment and amended to add a symbol for World War II service (lion grasping the astronomical symbol for Mars) on 5 January 1967. The current coat of arms was approved effective 16 September 2011. Constituted on August 30, 1944 as the 159th Military Police Service Battalion. Activated on September 5, 1944 at Chabua, India as a result of the inactivation of the 502d, 782d, and 792d Military Police Battalions. It was organized under the table of organization and equipment (TOE) 19-500. Activated 4 Mar 43 and assigned to the Air Transport Command. Subsequently sent to China. Became part of the 14th air force and were stationed at Kunming, China, 14th Air Force Headquarters in late February 45. Activated 14 Mar 43 at the Army Air Force Technical Training Command, Miami, FL. On 26 May 43 the unit was sent to Fort Benjamin Harrison for training. The unit left there 17 Aug 43 for overseas, arriving at Pandavaswar, India 3 Dec 43. 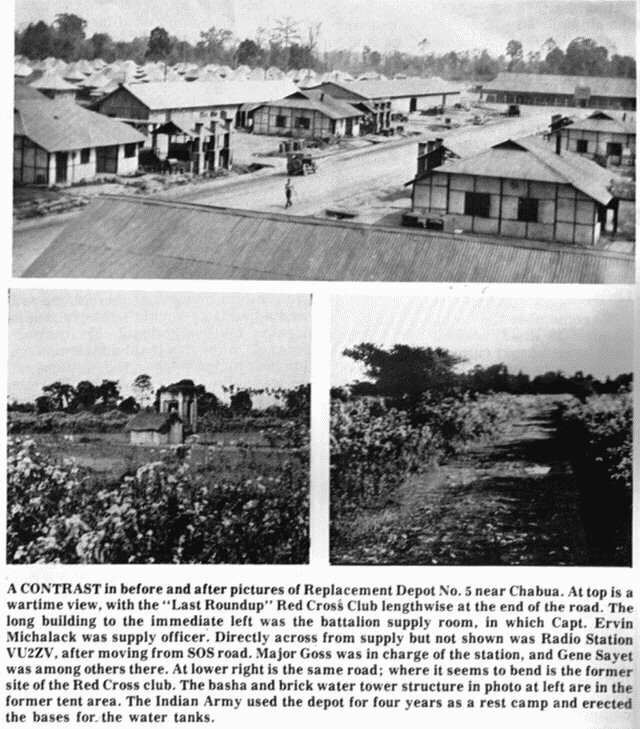 Moved to Dinjan, Assam, India 2 Oct 44. Activated 14 Mar 43 at Headquarters Army Air Force Technical Training Command, Miami, FL. Most of their wartime activity was at Dum Dum and Kurmitola, India. Activated 10 Aug 43, Camp Ripley, MN. 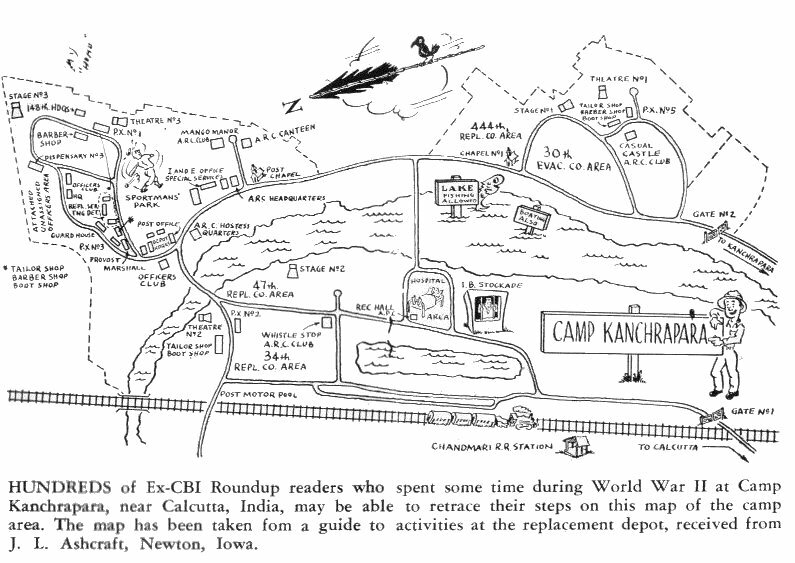 Relocated to Camp Barkley, TX on 28 Sep 43 and Camp Salua, Kharagpur, India on 23 Jan 44. Assigned to 25th ASG (date unknown). Meritorious Unit Commendation: 21 Mar-21 Sep 44, GO 70, Hq 12th Air Force, dtd 5 Apr 45. Activated 10 Aug 43, Camp Ripley, MN. Deactivated on 30 Apr 46. Locations: Kharagpur; Chengtu c. Dec 44 and was reasssigned from 10 AF to 14 AF. Stations: Camp Ripley, Minnesota 10 Aug-25 Sep 43; Camp Barkeley. Texas 27 Sep 43-28 Feb 44; Shipment 0621-P (Camp Anza) 01-07 Mar 44; "U.S.S. Mariposa" 07 Mar-09 Apr 44; Camp Worli, India 09-15 Apr 44; Ondal, India 16 Apr 44-27 Sep 45 (Det - Feni, India); En Route 27-29 Sep 45; Shanghai, China 29 Sep 45-31 Mar 46. On a blue shield, a yellow tiger dressed as an MP. This company was assigned to the 312th Fighter Wing, 14th AF. Activated as First Motion Picture Unit, Culver City, CA on 12 Feb 43. Activated 1 May 43 at Culver City, CA per AG 320.2 (4-19-43) OB-I-AFRPG-M dated 26 Apr 1943. Disbanded on 2 November 1945 at Camp Kilmer, New Jersey. Lineage: Constituted as 3 Photo Lab Section on 9 Oct 1943. Activated on 20 Oct 1943. Redesignated as 3 Photographic Technical Unit on 10 Nov 1944. Inactivated on 5 Nov 1945. Consolidated (16 Oct 1984) with the 8 Reconnaissance Technical Squadron, which was constituted on 25 Jan 1952. Activated on 16 Feb 1952. Inactivated on 31 Mar 1970. Redesignated as: 3 Reconnaissance Technical Squadron on 16 Oct 1984; 3 Intelligence Squadron on 6 Oct 2010. Activated on 1 Nov 2010. Assignments: 74 Tactical Reconnaissance Group, 20 Oct 1943; Tenth Air Force, 22 Apr 1944; 8 Photographic Reconnaissance Group, 18 Jul 1944-5 Nov 1945. Eighth Air Force, 16 Feb 1952-31 Mar 1970. 480 Intelligence, Surveillance, and Reconnaissance Group, 1 Nov 2010-. Stations: Morris Fld, NC, 20 Oct 1943; Campbell AAFld, KY, 8 Nov 1943; Camp Patrick Henry, VA, 13-22 Feb 1944; India, 25 Apr 1944; Dinjan, India, ca. Jun 1944; Bally, India, ca. Nov 1944-7 Oct 1945; Camp Kilmer, NY 3-5 Nov 1945. Carswell AFB, TX, 16 Feb 1952; Westover AFB, MA, 1 May 1955-31 Mar 1970. Fort Gordon, GA, 1 Nov 2010-. Campaign Streamers: World War II: Central Burma; India-Burma. 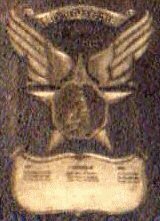 Decorations: Air Force Outstanding Unit Award: 1 Jul 1965-30 Jun 1966. Emblem: Approved on 30 Oct 1959; newest rendition approved on 21 Mar 2013. Lineage, Assignments, Stations, and Honors through Dec 2010. Activated on 20 Oct 43 at Esler Field, LA. Redesignated 4 Photo Technical Unit Nov 44, inactivated 7 Nov 45, disbanded 8 Oct 48, reconstituted 16 Oct 84 & consolidated with 94 Reconnaissance Technical Sq as 4 Reconnaissance Technical Sq. Unit mission was aerial photography and map making; organization stationed in China in Dec 44; Unit prepared for return to the United States in Aug 45. Meritorious Unit Commendation: 5 Feb-31 May 45, GO 102, Hq 14th AF, dtd 5 Aug 45. Lineage: Activated 16 Nov 1943 at Will Rogers Field, OK, inactivated 11 Jan 46, activated 10 Aug 48, inactivated 27 Jun 49, consolidated 16 Oct 84 with 497 Reconnaissance Technical Sq as 7th Reconnaissance Technical Sq redesignated 497th Intelligence Sq, activated unknown. Assignments: 8th Photo Reconnaissance Gp 1944-unknown. 1 AF 1948-1949. Air Intel Agency unknown -1 Dec 03, 480 Intel Wg. 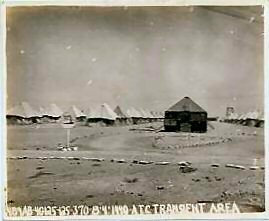 Stations: Kharagpur, India -1944 Bally Seaplane Base -unknown. Rochester NY 1948-1949 (reserve unit manned mostly by employees of Kodak). Bolling AFB unknown-. The 7th Photo Tech Squadron was activated 16 Sept 1943 at Will Rodgers Field, Oklahoma. Approximately 70 officers and 225 enlisted men boarded the SS Mariposa in San Pedro, CA, on 9 March 1944 and arrived in the harbor of Bombay on April 8, 1944. Then came the infamous train ride across India to Calcutta and into the plains of Bengal to a place called Gushkara. On 9 June 1944, the Squadron set up final housekeeping at Bally Seaplane Base just north of Calcutta. The 7th Photo Tech Squadron was assigned to the 8th Photo Recon Group and therein became the Theater's major supplier of photographic prints, filling orders for photo interpretation, map production, bombing missions, etc. The majority of the Squadron left Calcutta 12 December 1945 aboard the Gen. Muir, arriving in New York on 10 January 1946 and then on to Camp Kilmer, NJ. There the unit was disbanded. Activated 5 Dec 44, at Will Rogers Field, OK. Primary mission overseas was to provide mass production of aerial photographic prints and photo interpretation. Departed Will Rogers Field on 13 May 45. Embarked from San Francisco, CA harbor on 21 May 45 aboard the USS Ormsby. Arrived at Army Air Forces Pacific Ocean Area (AAFPOA) on Guam on 14 Jun 45. Inactivated 4 Oct 1945. Campaign credit for India-Burma. Consolidated 16 Oct 84 with the 70th Reconnaissance Technical Squadron as the 14th Reconnaissance Technical Squadron. Activated at Bolling Field, DC. 29 Feb 44. Location China; North Malir by 30 Sep 45. Disbanded 8 Oct 48. "Statistical control, as a fully developed concept, means the centralization of administrative controls over statistical reporting, the employment of standardized reporting procedures, and the use of the data thus derived as an essential factor in planning and as the quantitative measure of achievement." "Complete integration of statistical control organizations was never achieved in the CBI because of the confused jurisdictional relationship between the Fourteenth Air Force and the CBI Sector Command. The 22d SCU, which had been authorized for establishment in the Tenth Air Force in February 1943, was reassigned to Headquarters CBI Sector Command in September of that year. In October the 24th SCU was activated at Headquarters Fourteenth Air Force. Maj. Gen. George E. Stratemeyer at Headquarters CBI Sector Command demanded that the reports of the 24th SCU be routed through the 22d, so that his staff might have the benefit of them, whereas Maj. Gen. Claire L. Chennault, in command of the Fourteenth Air Force, which had become independent of the CBI Sector Command, insisted that the reports go directly to Washington. The controversy ended in a compromise, with the 24th SCU sending its reports directly to Headquarters AAF, but furnishing the 22d SCU with copies. The 24th SCU, however, did not operate, and never had operated, under the technical supervision of the 22d. The only SCU which came to operate under the jurisdiction of the 22d was the 39th, activated in November 1944 in the CBI Air Service Command." Assigned to 10th AF, Feb 43; CBI Sector Command, Sep 43. Redesignated as the 22 Statistical Control, Overseas and reorganized c. 16 Oct 43. Inactivated 5 Dec 45. Disbanded 8 Oct 48. 1st Det (Type A) - Bhamo by 1 May 45; Kunming by 1 Aug 45; Disbanded 8 Oct 48. 2nd Det (Type A) - Calcutta, India; Disbanded 8 Oct 48. Activated at Kunming, China on 6 Oct 43. Assigned 14th AF Oct 43-30 Jun 44. Meritorious Unit Commendation: 1 May-30 Jun 44, GO 12, Hq 14th AF, dtd 7 Feb 45. Constituted 1 Jul 44 at Peterson Field, CO for transfer to XXI Bomber Command, Harmon Field, Guam. Stationed at Peterson Fld 11 Jul-3 Nov 44. 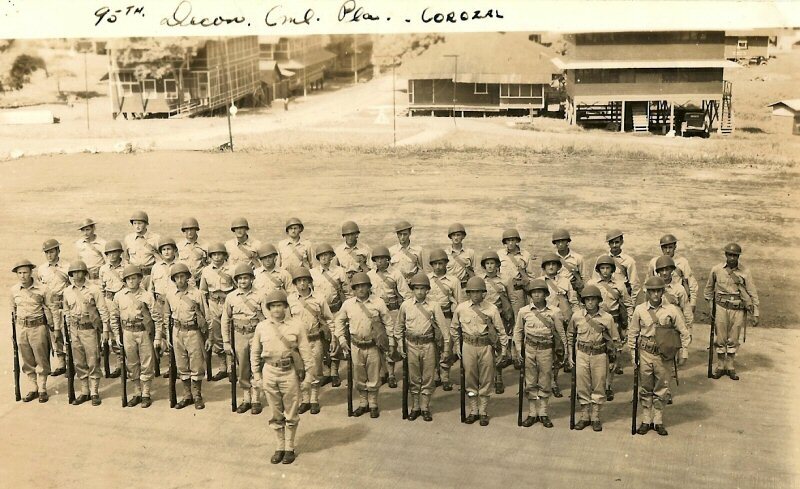 Unit moved from Guam to Philippines c. Jul 49 and redesignated 33d Statistical Services Unit. Lineage: Constituted 37th Statistical Control Unit, Overseas on 25 Sep 1944. Activated on 12 Oct 1944. Redesignated: 37th Statistical Control Unit on 7 May 1945; 37th Statistical Services Unit on 3 Jun 1949. Inactivated on 1 Apr 1950. Redesignated 37th Comptroller Squadron on 5 Apr 1995. Activated on 15 May 1995. Stations: Kharagpur, India, 12 Oct 1944-c. Jun 1945; Kadena AB, Okinawa, Jul 1945-1 Apr 1950. Lackland AFB TX, 15 May 1995-. Service Streamers: World War II: Asiatic-Pacific Theater. Decorations: Air Force Outstanding Unit Award: 1 Jul 1995-30 Jun 1996; 1 Jul 1996-30 Jun 1998; 1 Jul 2000-30 Jun 2002; 1 Jul 2002-30 Jun 2003. Emblem: Approved 2 Jun 1999. Azure, within a mascle Or a flight symbol of the second ascending pilewise and emitting three vapor trails of the like radiant to base; all within a diminished bordure Sable. Attached above the disc a Yellow scroll edged with a narrow Black bordure and inscribed "37TH COMPTROLLER SQ" in Black letters. Attached below the disc a Yellow scroll edged with a narrow Black bordure and inscribed "HOMINI CONFIDERI" in Black letters. Lineage: Activated 19 Nov 44. Assigned to India-Burma Air Service Command. Probably inactivated 2 Sep 45. Reactivated as 39th Statistical Services Flight -1953. Disbanded 1984. Activated 8 Apr 42 as 9 Replacement Control Depot, Hickam Field, Oahu, TH. Redesignated 9 Statistical Control 10 Jun 42. Part of unit sent to Funafuti and then on to Tarawa (Gilbert Islands). This part redesignated ADVON 6 Mar 44. This detachment disbanded 22 Mar 44. Unit moved from Hickam Field to Saipan 1 Nov 44. Unit arrived in Saipan 18 Dec 44. Unit sailed from Saipan 19 Jun 45; arrives in Okinawa 15 Jul 45. Lineage: Constituted as 1 Communications Squadron, Air Support, on 31 Mar 1942. Activated on 23 Apr 1942. Redesignated: 1 Air Support Communication Squadron on 11 Jan 1943; 1 Tactical Air Communications Squadron on 1 Apr 1944. Inactivated on 29 Oct 1945. Disbanded on 8 Oct 1948. Reconstituted, redesignated 1 Air Support Group, and activated, on 15 Jun 1992. Redesignated 1 Air Support Operations Group on 1 Jul 1994. Assignments: Sixth Air Force, 23 Apr 1942 (attached to 72 Observation Group, Apr 1942-Apr 1943); Third Air Force, 10 Apr 1943, III Ground Air Support (later, III Air Support; III Reconnaissance) Command, c. 19 May 1943; I Tactical Air Division, attached c. 8 Sep 1943, assigned 3 Nov 1943; Tenth Air Force, 31 Mar 1944; Fourteenth Air Force, 19 Apr 1945 (attached to XIV Air Force Tactical Air Command [Prov], 21 Jun-31 Jul 1945); Tenth Air Force, 1 Aug 1945; Fourteenth Air Force, 3 Sep 1945-unkn. 355 Wing, 15 Jun 1992; Twelfth Air Force, 1 Feb 1994-. Stations: Albrook Field, Canal Zone, 23 Apr 1942-Apr 1943; Birmingham AAB, AL, Apr 1943; Lebanon, TN, 8 Sep 1943; Morris Field, NC. 28 Nov 1943-11 Feb 1944; Bombay, India, 31 Mar 1944; Dinjan, India, 23 Apr 1944; Myitkyina, Burma, c. 23 Oct 1944; Bhamo, Burma, 15 Feb 1945; Luliang, China, 24 Apr-Sep 1945; Camp Kilmer, NJ, 28-29 Oct 1945. Ft Lewis, WA, 15 Jun 1992-. Operations: Combat in Burma and China, Apr 1944-Sep 1945. Teams on duty with British, Chinese, and American ground forces, directing fighter-bomber planes on missions in air support for the ground forces they served. Participated in an assault landing on 17 May 1944 in the battle for Myitkyina, Burma. Decorations: Air Force Outstanding Unit Award with Combat "V" Device: 1 Jun 2001-31 May 2003. Meritorious Unit Award: 1 Jun 2004-31 May 2005. Air Force Outstanding Unit Awards: 1 Jun 1996-31 May 1998; 1 Jun 1999-31 May 2001. Emblem: Approved on 15 Sep 1997. Lineage, Assignments, Stations, and Honors through 6 Aug 2008. Supersedes statement prepared on 8 May 1996. The 1st Air Support Operations Group was originally formed as the 1st Communications Squadron, Air Support, on 31 March 1942. On 11 Jan 1943 it was redesignated the 1st Air Support Communications Squadron and on 1 April 1944, redesignated as the 1st Tactical Air Communications Squadron. After several combat campaigns in Asia during World War II, the unit was inactivated in October 1945. It was reactivated on 15 June 1992 as the 1st Air Support Group and subsequently redesignated to its current name on 1 July 1994. The 1st Air Support Operations Group now continues the Air Force liaison duties which began at Ft. Lewis in June 1964. The 1st ASOG is located at Fort Lewis, Washington. The 1st ASOG is composed of over 100 Air Force personnel who directly support the U.S. Army in several different ways. Units assigned to the group include the 5th Air Support Operations Squadron, the 1st Weather Squadron, 8th Air Support Operations Flight, and the 111th Air Support Operations Center. The group's responsibilities are divided into two main portions. One is to provide weather support Army aviation units. The 1st ASOG provide weather support to I Corps, at home and in the field. The other is to form tactical air control parties which provide close air support to Army units. The 1st ASOG provides tactical air support for the Army's I Corps, 1st Brigade - 25th Infantry Division, 3d Brigade - 2nd Infantry Division, the 2-75 Ranger Battalion, and the 1st Special Forces Group (Airborne). The mission of the 1st ASOG is to provide superior aerospace expertise to I Corps and other US Army units to enable rapid, decisive, and sustainable airpower anytime, anywhere. The 1st Air Support Operations Group was originally formed as the 1st Communications Squadron, Air Support, on 31 March 1942. On 11 January 1943 it was redesignated the 1st Air Support Communications Squadron and on 1 April 1944, redesignated as the 1st Tactical Air Communications Squadron. After several combat campaigns in Asia during World War II, the unit was inactivated in October 1945. It was reactivated on 15 June 1992 as the 1st Air Support Group and subsequently redesignated to its current name on 1 July 1994. The 1st Air Support Operations Group continues the Air Force liaison duties which began at Ft. Lewis in June 1964. 10/1/2008 - HICKAM AIR FORCE BASE, Hawaii -- A redesignation ceremony moving the 1st Air Support Operations Group from under 12th Air Force into the hands of 13th Air Force occurred Oct. 1 at Fort Lewis, Wash.
Lt. Gen. Chip Utterback, commander of 13th Air Force, assumed control of the 1st ASOG and its subordinate units at the ceremony, nearly tripling the group's assigned forces to 400 personnel in the process. "We are focused on today's war with folks from all over our command deeply engaged in today's battle," General Utterback said. "We are organizing to bring the speed and flexibility that comes with airpower to the Pacific." With the move from Air Combat Command to Pacific Air Forces, the 1st ASOG assumes three new squadrons, in addition to two previously assigned squadrons. The new squadrons include: the 3rd Air Support Operations Squadron at Fort Wainwright, Alaska; the 25th Air Support Operations Squadron at Wheeler Army Air Field, Hawaii; and the 16th Air Support Operations Squadron at Fort Richardson, Alaska. The 1st ASOG will continue to command two subordinate squadrons: the 1st Weather Squadron and the 5th Air Support Operations Squadron, both at Fort Lewis. The mission of the 1st ASOG is to advise the I Corps commander at Fort Lewis and other Army units on employment of airpower, provide operational weather support, provide air liaison and terminal attack control, and plan and execute air component missions in support of I Corps objectives and contingency operations. "We welcome the tremendous capability that comes with these squadrons," General Utterback said. "[The 1st ASOG exists] to bring the finest in combat capability to Army combat operations across the world, from joint tactical air control to battlefield weather. I am proud to be a part of that joint warfighting team." The 1st ASOG was formed as the 1st Communications Squadron Air Support in 1942. After several combat campaigns in Asia during World War II, the unit was deactivated in 1945. It was reactivated in 1992 and redesignated with its current title in 1994. "We are extremely excited and proud to be gaining the additional units in PACAF and to be joining such an outstanding organization as 13th Air Force," said Col. Vincent Savino, 1st ASOG commander. Lineage: Constituted 12 Air Support Communications Squadron on 11 Jan 1943. Activated on 20 Jan 1943. Redesignated 12 Tactical Air Communications Squadron on 1 Apr 1944. Inactivated on 25 Dec 1945. Disbanded on 8 Oct 1948. Reconstituted, and redesignated 12 Air Support Operations Squadron, on 24 Jun 1994. Activated on 1 Jul 1994. Inactivated on 15 Jul 1996. Redesignated 12 Combat Training Squadron on 22 Jan 2003. Activated on 3 Feb 2003. Stations: Esler Fld, LA 1943-7 Apr 43, Birmingham AAB, AL -18 Jun 43, Esler Fld, LA -27 Nov 43, Barksdale Fld, LA -12 Feb 44, Calcutta, India 31 Mar 44-Jun 44, Yunanyi, China -Apr 45, Kunming, China -Jun 45, Kwanghan, China -Aug 45, Hsinching, China - Sep 45, Yangkai, China -13 Oct 45, India (no station listed) -23 Nov 45, Ft Lewis 24 Dec 45-25 Dec 45. Ft Bliss, TX 1994-1996. Ft Irwin, CA 2003-. Assignments: II Air Support Command (later, II Tactical Air Division), 20 Jan 1943; Fourteenth Air Force, c. Jun 1944-Oct 1945; 3 Air Support Operations Group, 1 Jul 1994-15 Jul 1996; USAF Air Ground Operations School, 3 Feb 2003-4 Oct 07; 57 Operations Gp. Service Streamers: WW II American Theater. Campaign Streamers: China Defensive, China Offensive. 5 Jul 43: Arrangements were made through United States Army Air Forces, China-Burma-India, to activate a Chinese Training School at Malir Field, Karachi, India. 20 Aug 43: HQ, China-Burma-India Training Unit (Prov) activated at Karachi, India, Brig Gen Julian B. Haddon commander. Unit consisted of 489 Airbase Sq., Karachi Overseas Training Unit, and Chinese Operational Training Unit. Primary mission was to direct the training of all Air Forces units and Air Forces casuals within the CBI Theater prior to their being formally released for operational employment. 1 Sep 43: HQ, Chinese-American Operational Training Unit (Prov) activated. 2 Sep 43: HQ, China-Burma-India Army Air Forces Replacement Center (Prov) activated. 25 Sep 43: HQ, Chinese-American Operational Training Unit (Prov) redesignated HQ, China-Burma-India Air Forces Training Command. 28 Sep 43: Chinese School of Aviation, American Detachment, at Lahore, India was placed under control of the CBI Air Forces Training Command. 3 Jan 44: 310th Airdrome Sq., assigned to the CBI Air Forces Training Command, was placed under administrative control of the CBI Fighter Operational Training Unit (FOTU). 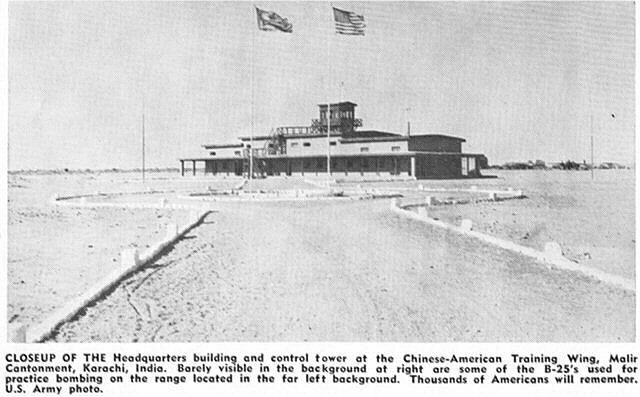 Replaced Karachi American Air Base Command c. mid-1943 for training Chinese aircrew for the Chinese-American Composite Wing (CACW). Meritorious Unit Commendation: 31 Aug 44-15 Nov 45, GO 6, Hq USF IBT, dtd 5 Jan 46. Lineage: Established as Weather Wing, Flight Control Command on 13 Apr 1943. Activated on 14 Apr 1943. Redesignated as: Army Air Forces Weather Wing on 6 Jul 1943; Army Air Forces Weather Service on 1 Jul 1945; Air Weather Service on 13 Mar 1946. Status changed to a Field Operating Agency on 1 Apr 1991. Redesignated as Air Force Weather Agency on 15 Oct 1997; 557 Weather Wing with a change in status to subordinate unit on 27 Mar 2015. Assignments: Flight Control Command, 14 Apr 1943; Headquarters, Army Air Forces, 6 Jul 1943; Air Transport Command, 13 Mar 1946; Military Air Transport Service (later, Military Airlift Command), 1 Jun 1948; Headquarters, United States Air Force, 1 Apr 1991; Twelfth Air Force (Air Forces Southern), 27 Mar 2015-. Stations: Washington, DC, 14 Apr 1943; Asheville, NC, 3 May 1943; Langley Field, VA, 7 Jan 1946; Gravelly Point, VA, 15 Jun 1946; Andrews AFB, MD, 1 Dec 1948; Scott AFB, IL, 23 Jun 1958; Offutt AFB, NE, 15 Oct 1997-. Decorations: Air Force Organizational Excellence Awards: 1 Jan 1991-30 Apr 1992; 1 Sep 1993-30 Sep 1995; 1 Oct 1995-30 Sep 1996; 1 Sep 1996-30 Sep 1998; 1 Oct 1998-30 Sep 1999; 1 Oct 1999-30 Sep 2001; 1 Oct 2001-30 Sep 2003; 1 Apr 2007-31 Dec 2008. Emblem: Unofficially adopted by organization c. 1943; officially approved for this organization on 24 Jul 1952; latest rendition approved on 24 Sep 1998. Lineage, Assignments, Stations, and Honors through 9 Jun 2015. Third Air Force was established in 1940 as the Southeast Air District to provide air defense for that part of continental United States and to conduct combat training for personnel of newly formed units. Attached to 75th Tactical Reconnaissance Group. Operated under 10th Weather Region which was formed August 1943 and based out of Barrackpore, India under command of Col. Richard Ellsworth. Mission: to fly weather route reconnaissance over the Hump, from Barrackpore/Gushkara India, to Kunming China and synoptic flights over the Indian Ocean and the stormy Bay of Bengal. Ceylon to Comilla to Chabua. Flew weather recon for Combat Cargo Task Force, ATC and the "Little Hump" (Ratmalana Air Field near Colombo, Ceylon to Chabua). China: Hsing-Ching Army Air Base in Chengtu China area of Szechuan China. The China flight rotated back to India then to Calcutta or Ceylon (Sri Lanka) for R&R. No major maintenance could be done at Comilla so it was done at Gushkara. Lineage: 2d Weather Reconnaissance Sq, Air Route(Medium) activated 1 Feb 44, inactivated 28 Dec 45, stationed at Gusharka. Lineage: Constituted as 10 Weather Squadron on 15 Jun 1942. Activated on 24 Jun 1942. Inactivated on 3 Jul 1946. Activated on 1 Jun 1948. Inactivated on 20 May 1952. Activated on 16 Jun 1966. Organized on 8 Jul 1966. Inactivated on 30 Sep 1975. Redesignated as 10 Combat Weather Squadron, and activated, on 1 Apr 1996. Assignments: 1 Air Force, 24 Jun 1942; Tenth Air Force, Aug 1942; Theater Troops (China-Burma-India), 18 Aug 1943; Army Air Forces, India-Burma Sector, China-Burma-India Theater (later, Army Air Forces, India-Burma Theater), 21 Aug 1943; Army Air Forces (later, Air) Weather Service, 12 Oct 1945-3 Jul 1946. 101 Weather (later, 2101 Air Weather) Group, 1 Jun 1948; 2059 Air Weather Wing, 20 Sep 1950-20 May 1952. 1 Weather Group, 8 Jul 1966; 1 Weather Wing, 30 Jun 1972-30 Sep 1975. 720 Special Tactics Group, 1 Apr 1996-. Stations: Detrick Field, MD, 24 Jun 1942; Charleston, SC, 25 Aug-15 Nov 1942; New Delhi, India, 19 Jan 1943; Rishra, India, 17 Apr 1944; Titagarh, India, 23 Jul 1944; Shanghai, China, 1 Nov 1945-3 Jul 1946. McClellan AFB, CA, 1 Jun 1948-20 May 1952. Udorn RTAFB, Thailand, 8 Jul 1966; Nakhon Phanom RTAFB, Thailand, 18 Feb 1974-30 Sep 1975. Ft Bragg, NC, 1 Apr 1996; Hurlburt Field, FL, 1 Aug 1996-. Campaign Streamers: Vietnam: Vietnam Air Offensive; Vietnam Air Offensive, Phase II; Vietnam Air Offensive, Phase III; Vietnam Air Offensive, Phase IV; TET 69/Counteroffensive; Vietnam Summer/Fall 1969; Vietnam Winter/Spring 1969-1970; Sanctuary Counteroffensive; Southwest Monsoon; Commando Hunt V; Commando Hunt VI; Commando Hunt VII; Vietnam Ceasefire. Decorations: Air Force Outstanding Unit Awards with the Combat "V" Device: 8 Jul 1966-1 Jul 1967; 1 Jan-31 Dec 1971; 1 Sep 2001-31 Aug 2003. Air Force Outstanding Unit Awards: 2 Jul 1967-30 Jun 1969; 1 Jul 1970-30 Jun 1972; 1 Jul 1972-30 Jun 1973; 1 Jul 1974-30 Jun 1975; 1 Jul-30 Sep 1975; [1 Apr 1996]-31 Jul 1997; 1 Sep 1999-31 Aug 2001. Republic of Vietnam Gallantry Cross with Palm:  Jul 1966-28 Jan 1973. Emblem (current): Approved on 2 Jun 2000. Lineage, Assignments, Stations, and Honors through Apr 2010. 1 May 1945 Station List, compiled by Adjutant General's Office, Washington, D.C.
Mission: The unit trains, equips and employs combat weather personnel to conduct weather operations worldwide as attached elements to US Army Special Operations Command units or other special operations forces. The functions include providing detailed environmental operational impact analyses, generating mission-tailored target and route forecasts, conducting special weather reconnaissance and training foreign national or guerrilla forces. Lineage: Constituted 10th Weather Squadron on 15 Jun 1942. Activated on 24 Jun 1942. Inactivated on 3 Jul 1946. Activated on 1 Jun 1948. Inactivated on 20 May 1952. Activated on 16 Jun 1966. Organized on 8 Jul 1966. Inactivated on 30 Sep 1975. Redesignated 10th Combat Weather Squadron and activated on 1 Apr 1996. Emblem Significance: The alternating Air Force yellow and black background of the disk represent the role of combat weather forces in combat operations, day or night. The yellow lettering signifies the excellence required by Air Force personnel. The ultramarine/reflex blue border represents our faith in, and allegiance to the Air Force. The white parachute represents the requirement for all individuals of the 10th Combat Weather Squadron to be jump qualified, and the superimposed white dagger links us to our chain of command, the 720th Special Tactics Group, Air Force Special Operations Command, and US Special Operations Command. The ultramarine/reflex blue and black wind vane links us to our predecessor, the 10th Weather Squadron. The three lightning bolts represent rapid response of special operations weather forces during contingencies and are: blue representing Air Force, green representing Army, and purple representing joint operations.